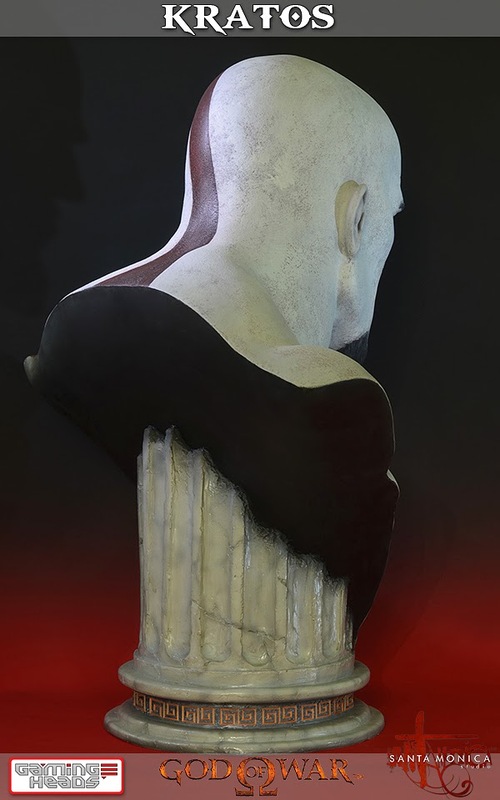 Gaming Heads revealed a very stunning Life-Sized Bust of Kratos from God of War recently. I can't believe how realistically awesome this looks. 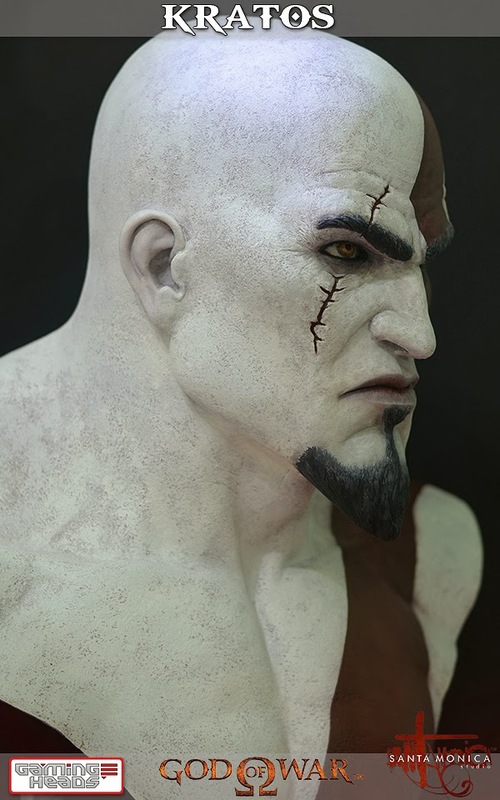 It looks exactly like Kratos from the God of War games. Being Life Size, I can't imagine how many people are going to jump when they see this. The scar is beautifully done and his expression is just perfect. For some reason, I got a bit tired of the God of War Series after GoW3 and have yet to play Ascension. 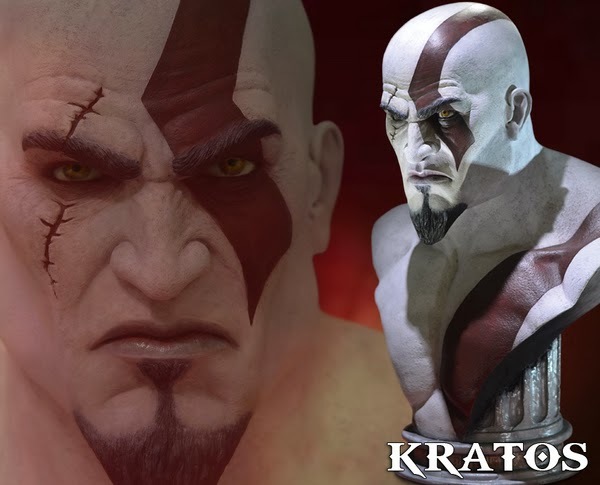 Whatever you feel about Kratos' character, you can't deny that he is one of Gaming's Biggest Badass! I'm hoping to have some extra funds to get this even though Life Size Busts aren't really my thing. 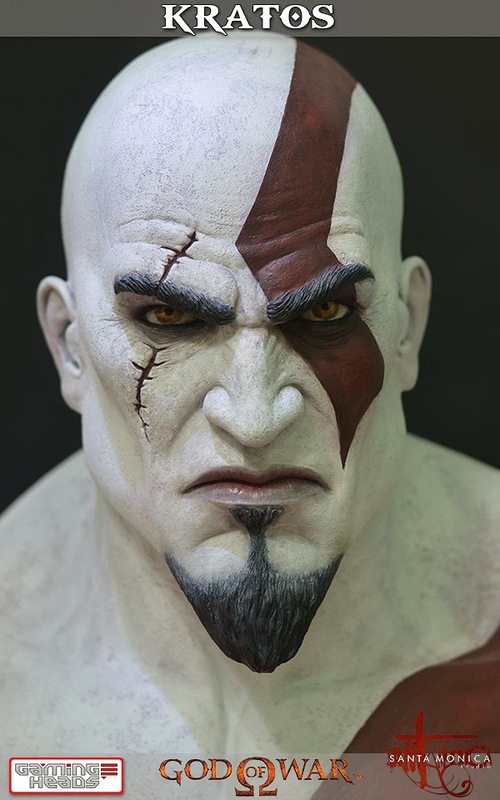 Whether you are a collector or not, I think that this is a must for all God of War Fans. On display, the presence of this will be amazing to say the least. It's not going to be cheap though. Limited to only 500 pieces, it retails at about US$600. 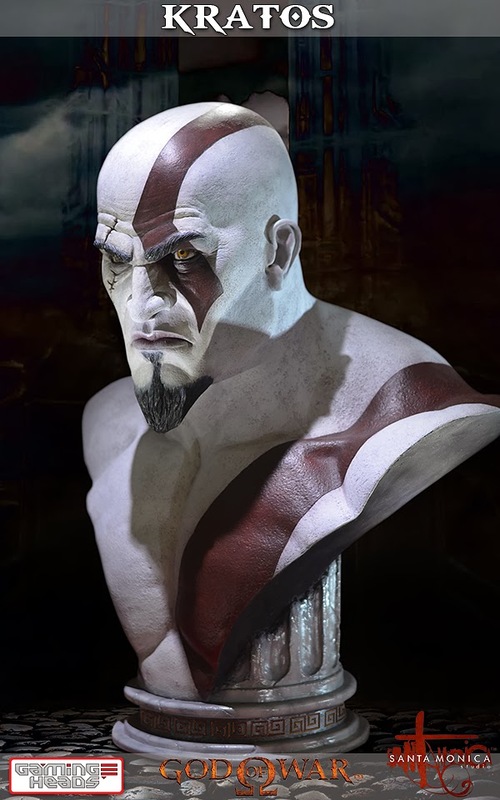 Order God of War Kratos Life Size Bust from Entertainment Earth!